This issue is notable for several reasons. It marks the end of the Constantine series' first story arc. It marks the point where it finally catches up with the Forever Evil storyline it is meant to be tying into. And it's also the last issue of this book I intend to buy for the foreseeable future, though the reasons for that have nothing to do with the endless tie-ins to crossovers I care nothing about. So why am I dropping it then? Because I have certain expectations for what should and should not happen in a John Constantine story and Ray Fawkes has failed to meet them. 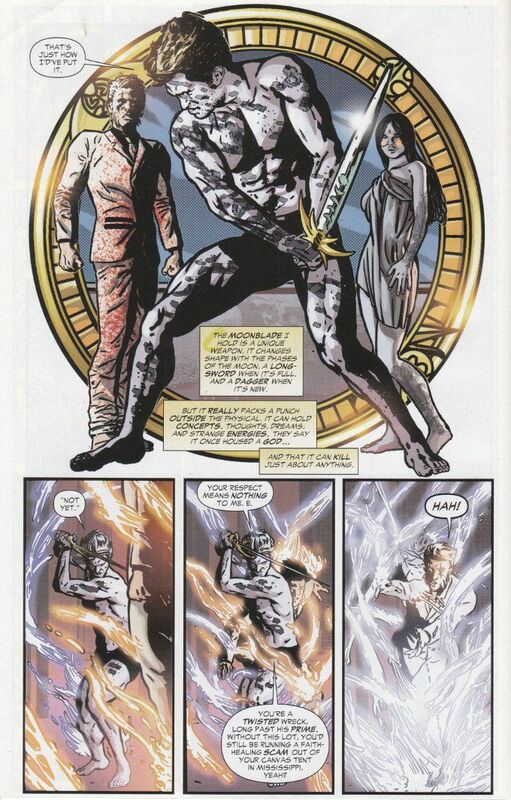 The moment John Constantine is cutting down his enemies with a soul-sucking sword is the moment he ceases to be John Constantine and starts being Elric. And if I wanted to read Elric, I would do so. The artwork by Aco and Brad Anderson is another factor. Simply put, this is some of the worst artwork I've ever seen in a book published by a professional company. Aco's linework manages to be over-detailed yet indistinct. The inking and the coloring are completely at odds with one another, creating panels that somehow manage to be drowned in shadows while still resembling a bright, over-saturated photograph. This issue is an unsatisfying conclusion to a series that showed promise but ultimately proved disappointing in ways beyond what we Hellblazer fans feared. 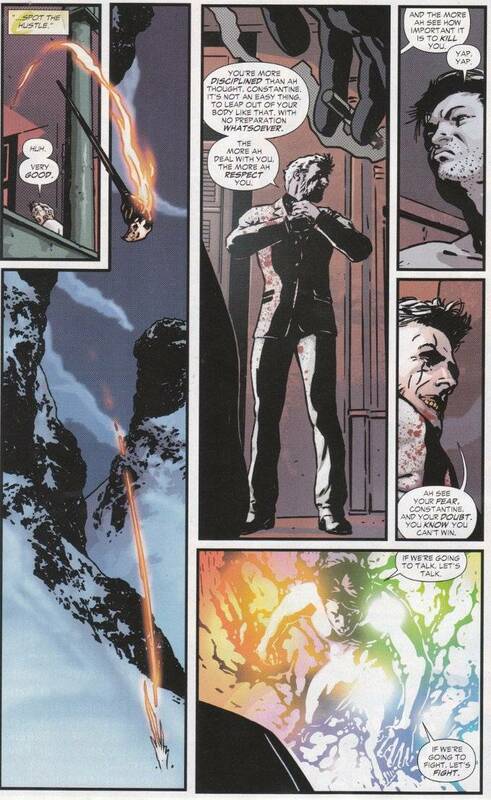 John Constantine may still smoke, drink and cheat the devil but that's all he has in common with the man he once was. This new Constantine is an honest power to be reckoned with rather than a jiujitsu master who knew how to use what little power he had t to turn other people's strength against themselves... and an honest power is the last thing John Constantine should ever be.